Welcome to todays Wallpaper Wednesday post where this week I’ve chosen something rather cute and quirky. Omega Cats is from the Sanderson Bloomsbury Canvas Wallpaper range and is definitely one to inject a little fun into your décor. This collection is inspired by the creativity of artists from the 1930’s, particularly those associated with the Bloomsbury Group and Omega Workshop. This group of writers, intellectuals, artists and philosophers was set up with the intention of giving them an additional income from designing furniture and textiles and they became influential in art and design in the early 20th Century. The Omega Cats are elegant, angular and beautifully stylised and would look stunning in any modern home. Making a real statement they would complement any colour scheme, and look great in a kids playroom or bedroom, as well as a study or dining area. This is definitely one for cat lovers, for those who like a bit of fun in the decorating, and for someone wanting to make a real statement. Widely available at many good wallpaper retailers, Omega Cats is also available from Rodgers of York, a family run Home Furnishers, and sells for around £40 per roll. What do you think? Is this a wallpaper you could see in your home? I love cats and i love this wallpaper ! great job ! This is a fab wallpaper I think its great !! 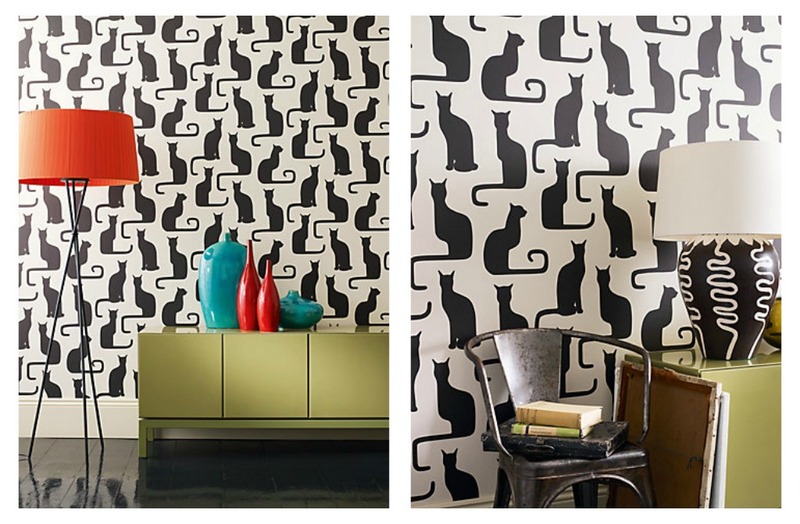 I love the Omega cats wallpaper – it’s so funky and fresh!!! Really Fantastic wallpaper … I want this for my room … I Love cats they are so funny and cute … I also named my cat Beethoven cause he really likes and enjoys music. That is quite modern wall paper and black and white is always my favourite. And the pattern is really amazing.